This is how most Filipinos commute… where safety is secondary and the danger of losing a limb is just a daily routine of going to work! It’s fun in the Philippines! 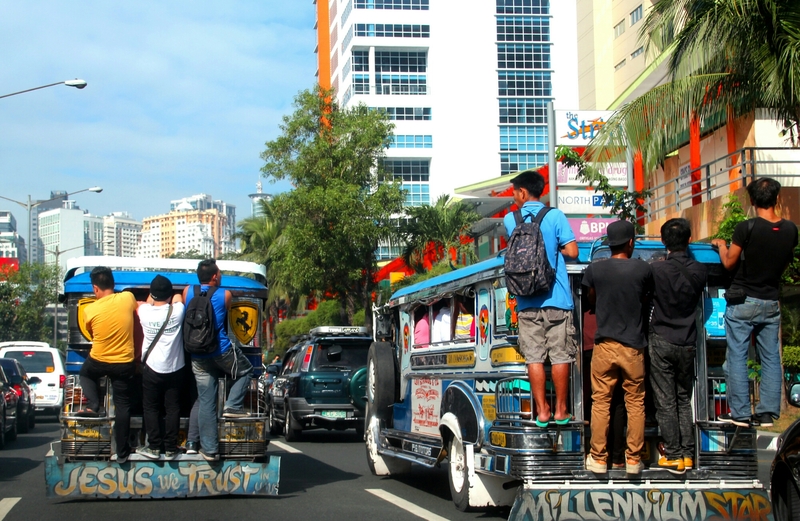 This is how most Filipinos commute… It’s fun in the Philippines! Metro Manila or the National Capital Region of the Philippines has a population of about 40 million, 1/4 of the country’s total population of a hundred million. Metro Manila has about 630 km/2 area. As the number of residents grow, the total number of public transportation is unable to catch up with the huge population in the Metro. Scenes like this has become a usual way to commute… Due to the lack of a mass transport system in the region. The Dark Side of Time…! Hahaha! Oo nga.. Buwis buhay talaga mag commute dito sa pinas!